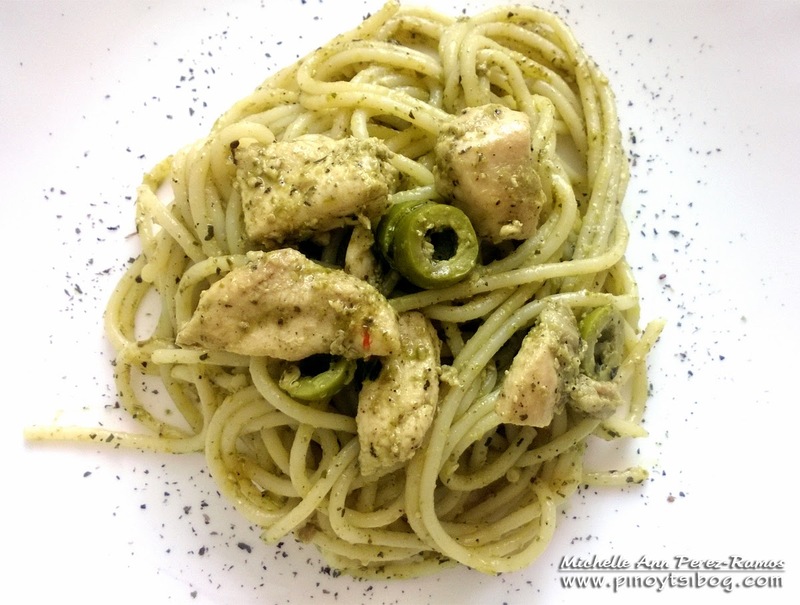 Chicken Pesto Pasta is a delicious and healthy dish for lunch or dinner. It is quite easy to prepare as well. On a lazy day for me, it is best to keep stock of some good food in the kitchen. 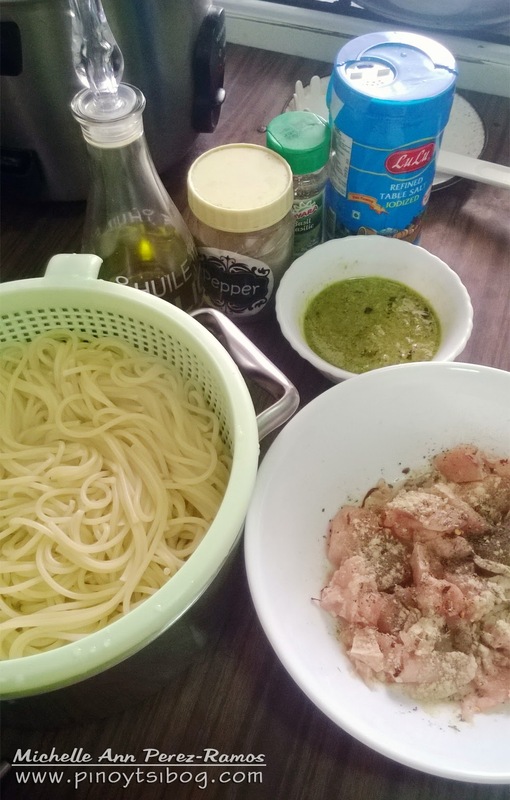 Recently, basil pesto is one of may favorite, especially now that I'm a bit into my diet. 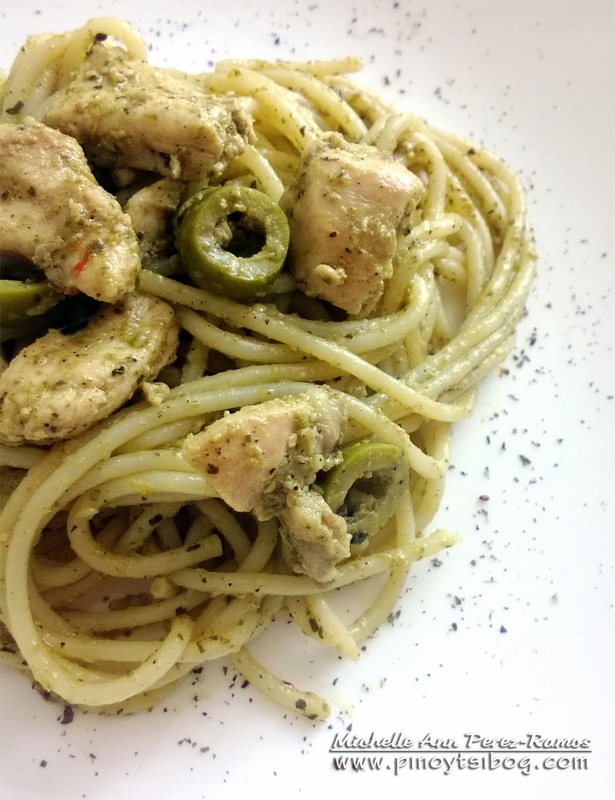 Pasta, chicken and olives are always in my stock, so no excuse for not having this good dish even without much effort of doing the grocery. Basil is definitely healthy vegie. It is known for its essential oils that have been shown to lower blood glucose, triglyceride and cholesterol levels. It is also good source of antioxidant and antimicrobial properties for our body. What can you ask more, it has a very good taste and is sure healthy for our body? Well, just before I made this dish, I knew already that my husband won't even give it a try. Of course, unless it has a Filipino sweet style pasta sauce, then it is definitely not his type. 1. 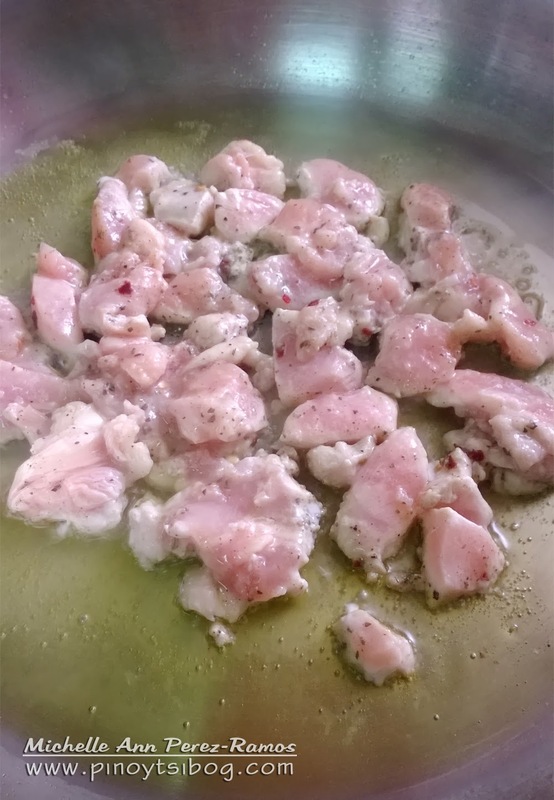 Marinate the chicken with lemon juice, salt, pepper, garlic powder and chili flakes. 2. 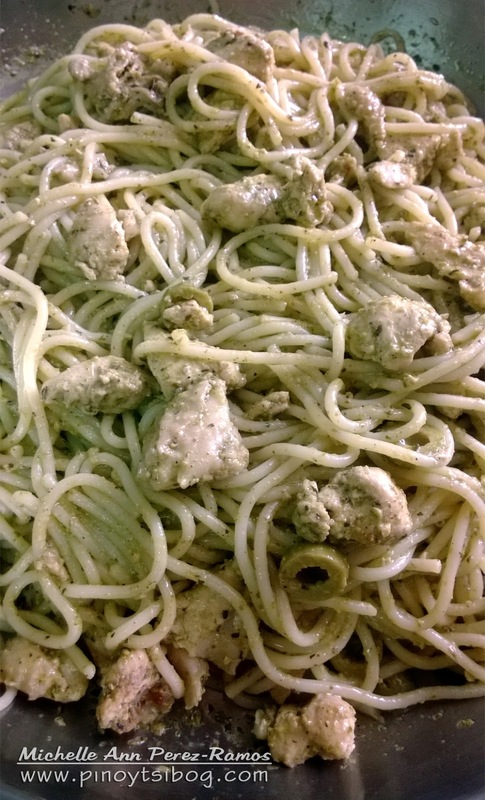 Heat olive oil in a pan with medium low fire and add the chicken. Cook until lightly brown. 3. 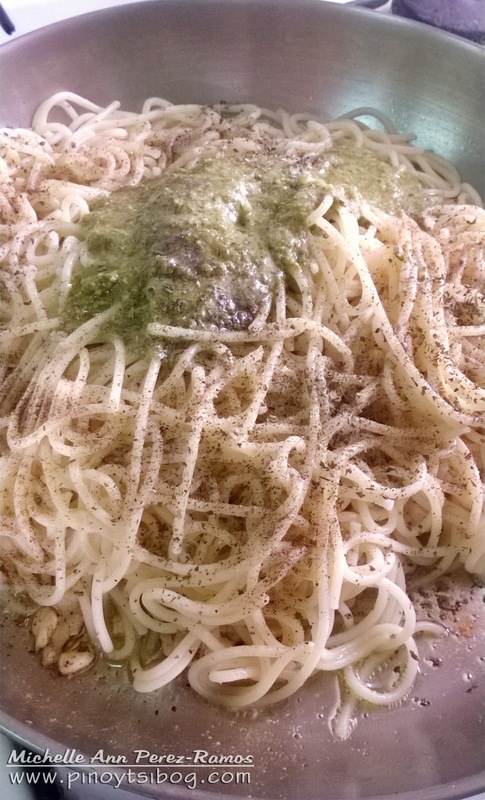 Put the pasta, pesto and olives. 6. Let it cook for 2 minutes.